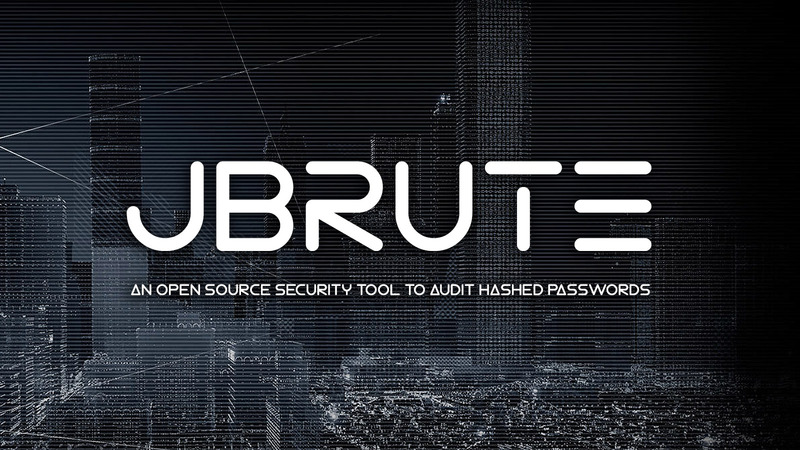 JBrute is an open source tool written in Java to audit security and stronghold of stored password for several open source and commercial apps. It provides multi-platform support and flexible parameters to cover most of the possible password-auditing scenarios. Note: It requires Java Runtime version 1.7 or higher. First, download the latest version of JBrute (JBrute_v0-99.zip). Then extract it. Then execute jbrute.bat with arguments using the command prompt. Multiple codes accepted: combinations of codes 1, 2, 5, 6, 9. --hash or --hash_file=<FILE_NAME>: specify one hash or the name of a file containing hashes. Available rules: similar to in John the Ripper (masking partially supported). --algorithm=<CODE>: specify the code of the algorithm to use (multiple codes accepted, default 1). Available codes: same ones as --decrypt --algorithm option. --base64: specify the final hash in base64 too. --upper: specify the final hash in uppercase. --expected: print hash example for each supported algorithm. --guess: try to identify the algorithm of a hash (can return multiple algorithms). --hash=<HASH> or --hash_file=<FILE_NAME>: specify one hash or the name of a file containing hashes. --lucky: determinate the most probably algorithm for the hash (just one). --test: estimate number of hashes that you could process with your actual hardware. --algorithm=<CODE>: specify the code of the algoritm to use (multiple codes accepted, default 1).